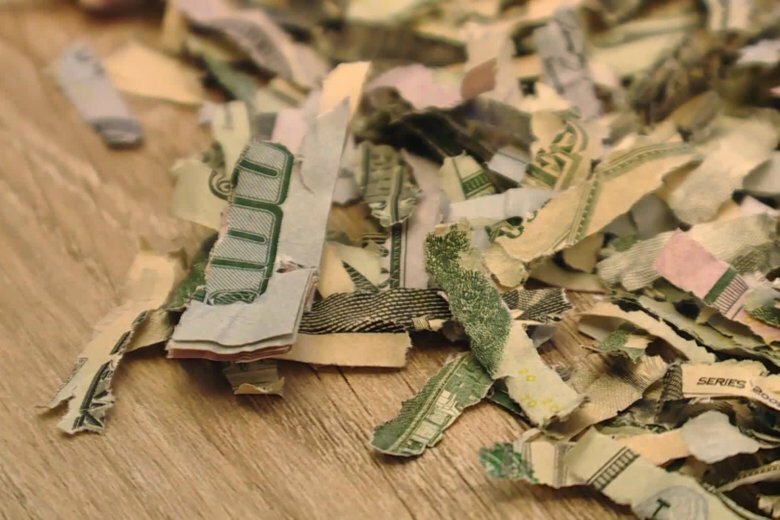 The mystery of more than $1,000 that disappeared from a Utah family was solved when they discovered the money in pieces in the home's shredder, and found the culprit was their 2-year-old son. (CNN) — The mystery of more than $1,000 that disappeared from a Utah family was solved when they discovered the money in pieces in the home’s shredder, and found the culprit was their 2-year-old son. Ben and Jackee Belnap of Halladay had been saving money to pay back Ben’s parents for University of Utah football season tickets. They had the $1,060 ready in an envelope but were left searching the home when it disappeared over the weekend. As the couple emptied the container, their money tumbled out like confetti. The couple suspects their curious toddler, Leo, was copying what he saw his mom do. There’s good news for the family, though. They can submit the money to the US Department of Treasury Mutilated Currency Division for exchange. It will take some time for the department to piece it all together and verify the amount.